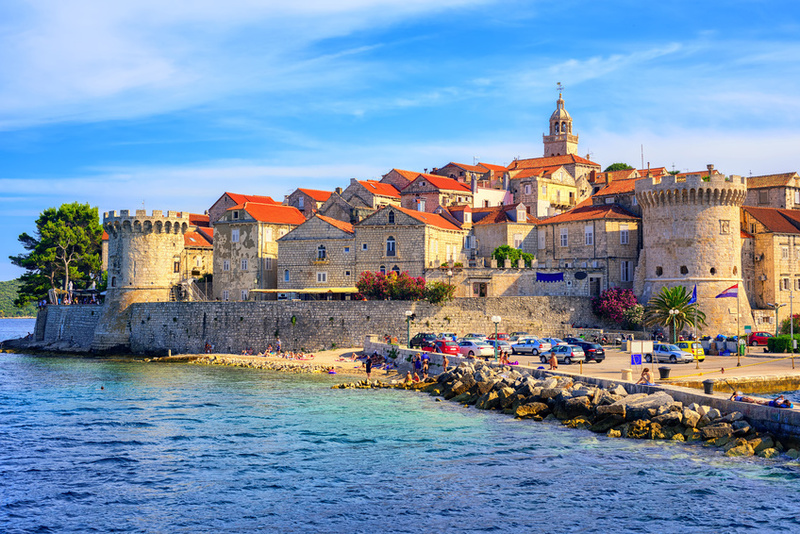 Korcula is one of Croatia’s most treasured islands although, perhaps somewhat surprisingly, not quite as popular as some of its slightly more northern counterparts, such as Brac and Hvar. This may be because the island is a little further away to get to (both from Split or Dubrovnik) and some of the most convenient ferry services to the island only run in summer. On one hand, of course, this is somewhat of a shame but on the other, this means you have fewer crowds and can enjoy the island more! See below for our tips on reaching the island, its history and what to see and where to stay. Generally, events on the island centre around the summer months – peak season – when there are more people around to enjoy all the festivities. Each main town is likely to have some kind of “summer evenings” mini-festival, with assorted events – art exhibitions, folklore evenings, singing, dancing, music, fishermen’s evenings – taking place from about mid-June to September, or thereabouts. Check the websites of the tourist offices listed below for an up-to-date schedule of events. One of the main events to look out for are performances of the famous Moreska dance. These normally take place twice a week in the town during summer – check locally for more details. Korcula Explorer offers high standard private apartments and rooms to rent, excursions and comprehensive advice for your perfect holiday on the beautiful Island of Korcula.